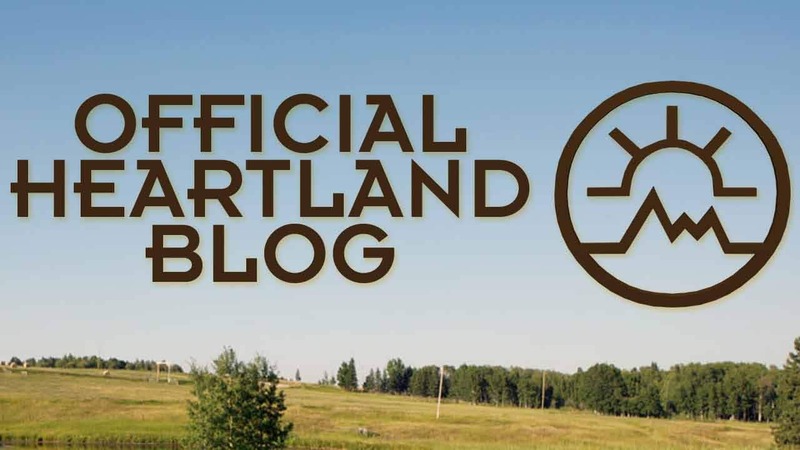 Heartland’s Director of Photography’s Answers your Questions! In the ongoing "What makes Heartland Tick" (As opposed to tick... tick... tick...) I've served up all of the regular cast and many significant crew members over the past few months so you could ask them questions and learn more, both about them and about different things you may not know concerning filming a television series, namely Heartland! Click through for the latest answers! 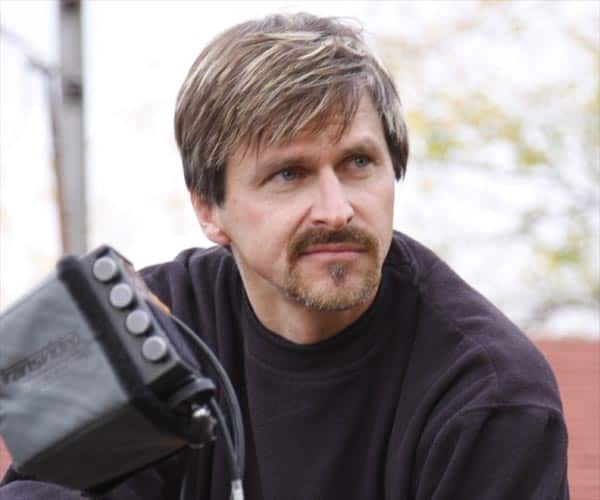 In this, the second to last installment, here are the answers to your questions for Heartland's Director of Photography Craig Wrobleski. Enjoy! Q: Hi Craig! What is your favourite kind of episode to work on? What I mean by that is, like, do you like episodes with lots of action, ones with lots of animals in them or you name it. Thanks so much! A: Thanks for the question Jenna. One of the many great things about Heartland is that each episode offers so many different aspects - drama, comedy, stunts, animals, beautiful locations and the list goes on. I enjoy all the aspects of shooting but I have to say that I feel I have really done my job when the images connect with the audience on an emotional level, whether that is the tension of an action sequence, the uplifting comedy sequence or the dramatic weight of a scene like the death of Pegasus. If you feel something - then I have done my job. Q: On some tv shows and movies I see they use a second and sometimes a third camera. Does Heartland ever do this? and why would you use more than one camera? A: Observant question. Heartland has two talented camera crews on what we call "A: and "B" cameras. Some scenes only require one camera (or perhaps there isn't space on the set for two cameras) but I would say 75% of the scenes on Heartland are shot with two cameras. We shoot this way because it allows us to film the scene more efficiently by capturing an actor's performance from more than one angle. This helps to capture a single performance without that actor having to try and repeat and match the same nuances and actions again and again from multiple angles. Repetition is part of the actor's job but two cameras definitely makes it easier for them. Often when we are shooting large, complex sequences (like last season's Ring of Fire episode - 317 - for example) we will bring in a third camera to capture another angle on the action and give the editor more to work with. Q: Hi Craig, My question for you is: What kind of education/experience path have you followed to get to where you are now as a D.O.P.? A: Thanks for the question Teresa. Are you asking because you want to be a DOP? I would highly recommend it - it's the best job in the world! I went to Mount Royal College in Calgary and graduated from their Broadcasting program. I then got a job at CFCN Television in Calgary where I was a cameraman in their studio. After one year at CFCN I quit and went freelance and did just about every job there is to do in the television business (production assistant, sound, gripping, lighting, etc.). I slowly started getting jobs as a cameraman on corporate films, documentaries and music videos. That transitioned into shooting commercials and second unit work on feature films and TV movies. I then moved into shooting main unit on feature films and TV movies in addition to commercials. That was a long journey (I've been in the business for 21 years) but it was (and is) a lot of fun and I met and worked with so many amazing people on the way and traveled all over the world with my camera. I decided early in my career that I wanted to create my own path to being a DOP but there are many different ways to get there such as the Camera Trainee program offered by IATSE (the camera union). To be honest, the best way to learn cinematography is to get out there and shoot, make mistakes and learn from them. The most important thing is to train your eye and find your own voice as a cinematographer. That will allow you to create images that are unique. Q: Hey there! Thanks for doing such a fabulous job on the series we all love! My question for you is what is the most challenging part and the most rewarding part of your job? Thanks for answering our questions!! A: Thanks for the question. Glad you like the show - keep watching, this season is going to be full of surprises. Speaking of surprises, I would say the challenges of the job lead to the rewards. There are many aspects to consider when shooting any scene for the show (the tone of the scene, mood, how bright or dark, number of shots, colour, lensing, camera movement, location, make-up, hair, weather, animals, the appearance of the actors, the time we have to shoot the scene, budget, etc., etc.). These elements and more all have to be thought out before we roll the cameras and the incredibly talented directors and crew of Heartland face all of the challenges and more with the utmost professionalism, dedication, speed and, importantly, humour. 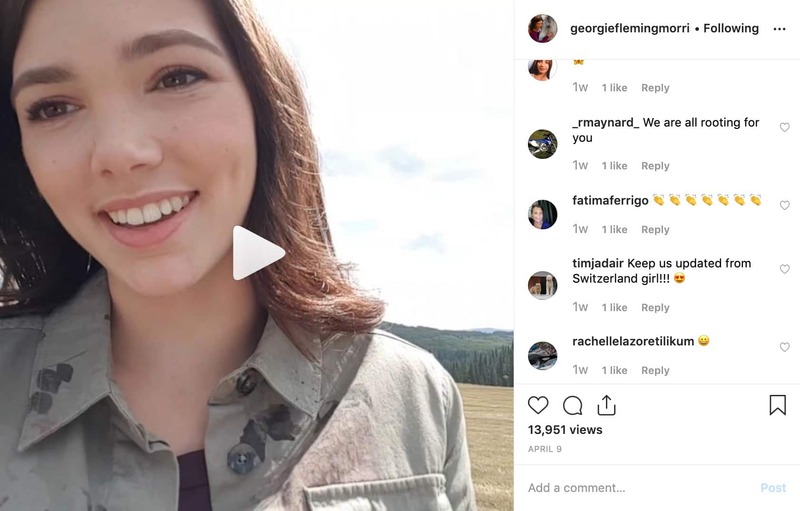 The most rewarding part of the job is when the entire cast and crew collaborate to overcome all of the challenges and deliver a scene that transports the viewer into the world of Heartland. Watching it all come together is an amazing experience. Q: Are you the actual cameraman when filming is going on, or are you just setting up the scenes and telling them what to do? A: As Director of Photography on the show it is part of my job to collaborate with the camera, lighting and grip crews to bring to life the director's vision for the scene. This process involves many talented people including our camera operators Rudy Katkic and Jarrett Craig. Rudy and Jarrett are the people who actually operate the cameras, compose the shots and follow the action during the scenes. They work with focus pullers Kirk Chiswell and Schane Godon who keep the shots in focus as the cameras and actors move through the sets. After we rehearse the scene, the director and I discuss the angles we would like to shoot and I work with Rudy and Jarrett to make sure the shots work well with the lighting. Rudy, Jarrett, Kirk and Schane are very good at their jobs so I don't need to tell them what to do, instead we collaborate to create the images you see at home. Q: Hi Craig, You do a wonderful job of bringing Heartland to life. Thank you so much!! My question is: What do you like to do in your spare time that has nothing to do with work? Thank you! A: Thanks for the compliment. It is always inspiring to hear from fans of the show. Good question - shooting Heartland is a very demanding but fulfilling job that doesn't leave a lot of spare time. I love being in nature and am fortunate enough to live on an acreage in the foothills outside Calgary so I spend a certain amount of my time looking after that (mowing the lawn, gardening, pulling weeds, etc.). For exercise and to decompress I like to walk our three dogs, ride my bicycle around the highways near my home, swim, golf and do yoga. I have a bunch of other interests including art, architecture, music, wine and I love reading books on these subjects. I really enjoy cooking as well. Of course I love watching movies but watching movies is kind of like work though so I'm not sure if that counts. It's also great to sit at home on Sunday night and watch Heartland! Q: Hi Craig. My question for you is what has been your favorite scene to direct/shoot?? Thank you very much! A: That's a tough question Ashley. There are so many scenes that I am proud to have been a part of. I would have to say I have a soft spot for last season's "Quarantine" episode - 313 -as it was my first episode of the show and there are many scenes involving Pegasus' illness, death and memorial that hit me emotionally. We have two horses of our own and those scenes really hit home. I also really enjoyed the scenes shot at the Hanley Barn for the "Second Chances" - 304 - episode last season. Creating the "Ring of Fire" show was also a highlight. It was great to see the whole set and lighting plan come together. It's always a pleasure to capture the beautiful landscape of the Alberta foothills and share it with the rest of Canada (and the world). Q: Hi Craig! Awesome of you to take the time to answer some questions. Creating the right mood must be challenging at times, but (as you know!) is definitely essential. You do a fantastic job, which everyone who enjoys Heartland episodes can testify to! I have tons of questions which I would love to ask, but for the sake of having a complete list of ALL the cast and crew's answers, I will have to ask my typical question: What's your favourite comfort food? This question, as you can tell, is directly and absolutely related to your field of work and expertise. ;) Thanks for taking the time, and I'll be looking forward to seeing your work in season 4! A: Thanks Twe. Strange as it sounds, a warm bowl of oatmeal has always been comfort food for me since I was a kid and I usually start my day on Heartland by grabbing a bowl full from the catering table on my way to set. I'm also a fan of a good old peanut butter and jam sandwich! Q: My question for you is: Do any of the horses ever get in the way for close-up shots? I think I once heard that Stormy, or "Spartan" does. Thank you for your time, and hopefully I'll hear from you! I CAN'T WAIT for Season Four of Heartland!!! A: Your wait will soon be over - season 4 is coming together wonderfully. The horses of Heartland certainly are characters unto themselves. They each have unique personalities and though they are well trained by our wrangling team they have been known to "break out of character" and steal close-ups from our actors, leave the shot suddenly, decide that grass is more interesting than acting, or want to join their friends in the fields. Horses are herd animals and don't like to be alone so one of the tricks is to have a "companion horse" close to the horse in the scene so they feel more comfortable. The Wranglers have many other tricks and treats they use to give the horses their "motivation". Q: hi craig! I have a question: about how many minutes or hours of film footage go into one episode - before its edited? Thanks! A: Excellent question. I asked Chris Bang and David Gordon, our second camera assistants who manage the film that we shoot, and they told me the average is twelve rolls of film a day. That means we shoot an average of 90 rolls per episode which translates to approximately 18 hours of footage to create a one hour episode. Q: hey craig! I read here on the blog that heartland uses film instead of digital hd - I thought that digital was the trend now, especially on TV. Why do you choose to use film? Is it better? A: Another excellent question. We shoot Heartland on Super16mm film instead of a digital format. Simply put, film is much better at capturing all the nuances of light, colour and texture in our beautiful sets. Film is a technology that is constantly being improved upon as well and the newest Kodak film stocks that we shoot have amazing dynamic range (the ability to capture everything from bright highlights to dark shadows) and that ability enables us to make the most of the natural light in our exterior locations. The difference between digital cameras and film is like the difference between a grand piano and a synthesizer. You can get a synthesizer to sound very close to a grand piano but it never quite matches the magical quality of the real thing. Q: Hi Craig What's the funniest blooper you've ever caught on film? Thanks for answering all of these questions! A: That's a very tough question Milly. There are so many funny things that happen on set with our cast (all of whom are very funny) and the animals that it is hard to narrow it down to which one is the funniest. The animals are always doing funny things. There always seems to be a scene every once in a while where one actor gets a case of the giggles and can't stop laughing. This is usually contagious and it is always funny to watch the actors try and keep it together when you know they all want to burst out laughing. I know that doesn't really answer your question but let me just say that I have a lot of laughs at work every day. Q: Hey Craig, I was curious what cameras you guys use to shoot the show? What all is involved in setting up the shoots, from lighting, lenses, and audio? A: We shoot the show on Super16mm film with Arriflex SR 3 cameras, Angenieux Optimo and Cooke S4 lenses and Kodak film stocks. The second half of your question is a very complicated but I will give you a basic rundown of the process. Each director preps their "block" (2 episodes) in pre-production for three weeks - this involves casting new actors who are appearing for the first time, choosing locations, props, cars, wardrobe and everything else that will appear on the screen. Then when we are in production, we first "block" the scene with the actors - this is where the director and actors work out how the scene is going to play out. Then the director, camera operators and myself work out how we will shoot the scene (how many shots we will need, which lenses we will use, how we will move the camera, etc.). Then, while the actors are in hair/make-up and wardrobe, I work with our gaffer Marty Keough, key grip Rick Schmidt and their lighting and grip crews to light the scene. The actors then return in their wardrobe, with their hair and make-up done. We rehearse the scene, put the final touches on the lighting, hair, make-up and wardrobe and then shoot. We repeat this process numerous times every day. Q: How do you control the colours in each scene? For example, using warm colours in a happy scene, and dark and cold ones during a sadder moment. Or to what degree do you use colour to establish mood in different settings? A: Great question. Many of the colours in the show are dictated by Production Designer Rick Roberts in the sets he creates and the actor's wardrobe created by our Costume Designer Carol Case. These are the basis of the Heartland look. I then choose, based on a number of factors (the content of the scene, the time of day, the season) how I will work with the colour in my lighting. The overall approach to Heartland is a look of "magic realism" that feels natural and authentic but also has a magical quality. Like a fond memory. I believe that all people have a subconscious relationship with colour that makes them feel a certain way when exposed to different colours and tones. The examples you mentioned in your question are examples of that. I really enjoy using subtle gradations of colour in my lighting to help support the actors performances and transport the audience into the world of Heartland. I also work very closely with our on-set dresser Chris Smith to make sure that all of the objects on-set that will appear in the shots are not distracting in their colour or brightness. Q: As there are multiple directors for Heartland, do you find yourself trying to achieve different looks for each episode based on their perception or does that not affect anything? A: I work with many different directors on Heartland and they all have their own working and shooting style. It is part of my job to ensure that we embrace the shooting style of the individual director but also to make sure that the way the show is photographed is consistent so the episode still has the Heartland look that audiences are accustomed to. I meet with the directors while they are in pre-production and we discuss the scenes we have to shoot. From these discussions, I get an idea of how the director perceives the script and how they would like to shoot the scenes. It is these discussions, combined with the content of the script and the look of our shooting location that dictate what the scene will look like. Every director has their own individual take on the material and that is always the starting point for how I will approach the shooting of the episodes. A: Thanks for the question Rory. Always great to hear from the next wave of directors and cinematographers. I have to admit that I am not the most up-to-date on all of the computer programs for editing, etc. but I know that it is easier than ever to put images together with simple programs that will run on your home computer. Professional editing programs like Final Cut Pro will run on a laptop and there are simplified versions of those programs for home use. Camera technology is changing and evolving so quickly now. Even the new iPhone has a high-definition video camera built in! Digital SLR cameras like the Canon 5D and 7D can produce striking hi-def video images and enable you to use high quality lenses. Sony and Panasonic are producing some amazing cameras that will produce high-definition images and allow you to import the footage directly into your computer via FireWire. There are some informative websites (such as Cinematography Mailing List) that allow people to share information about new equipment and techniques. As for the next step - that is up to you. The equipment is only part of the equation - it is very important to develop your skills as a visual storyteller. If you love film-making then keep making your movies, screening them for your friends and family and asking them for constructive criticism on how they can be improved upon. Watch your favourite movies and try to figure out how they achieved certain shots, etc. There are a lot of great magazines out there (like American Cinematographer) that give an in-depth behind-the-scenes look at how movies are made. There is so much information on the Internet about how movies are made that I find it an invaluable tool. Q: Hey Craig, I'm interested in doing photography and filming as a career when I'm older. So, I was wondering the qualifications you need to do, to do such an amazing job as you do. Do you know any particular universities or degrees excel that in that sort of thing? I think you're doing a fantastic job! A: Thanks for the kind words - glad you like the show. Also glad to hear you interested in cinematography. The first qualification you should have is a love of the process of creating images. Filmmaking is a lot of hard work (we shoot an average of 12 hours a day on Heartland) but if you love it, it is not like work at all. I have been shooting for more than 20 years and still love going to work and I still learn new things every day. I'm not sure where you live but there are many great film schools all over Canada. Some, like SAIT (the Southern Alberta Institute of Technology) in Calgary, focus more on the technical side while others put more emphasis on producing or directing. Depending on your interest and location, a little research will help you find the school that best suits what you want to do. Cinematography is a life-long learning process and the best way to learn is to just get out and shoot. The technological advances of recent times make it easier than ever to produce beautiful images but it all starts with the eye behind the camera. I hope that helps. A: Thanks for the compliment Siyetka. Every scene has it's challenges but I would say the most difficult scenes to shoot are longer scenes that we shoot outside. The weather in Southern Alberta changes very quickly and it is a constant challenge to try and maintain a consistent look for the scene. Some outdoor scenes on Heartland can take as long as 3-4 hours to shoot and in that time the weather can go from sunny to cloudy to raining and back to sunny again. Some scenes have started in sun and ended up in snow! Hopefully the audience at home doesn't notice this! We always have an eye on the skies and work very hard to make the scene look seamless. Q: how do you think about all the elements that goes into a scene? such as amy stroking a cat while in mid conversation, or the bridles hanged on the wall, etc. btw - every scene is so authentic and truly makes the show such a success! - the shooting crew then work to put all of these elements on the screen in the best light possible. As you can see it is truly a team effort! Q: Dear Craig, I was wondering when filming horses, it is bound to create some challenges to ensure that they don't poop or pee on camera. How do you film so that the horses are being filmed at their best and not stopping to poop/pee during filming a particular scene and how do you recover if it happens? Also, have there been any embarrassing or funny situations that occurred during filming involving the horses with or without the actors that we might find amusing? A: Hi Cindy. I think you have pointed out the funniest (and potentially most embarrassing) situation that can occur with the animals - when nature calls in the middle of a scene. When horses have to go, they have to go and it doesn't really matter to them if an actor is in the middle of an emotional scene. There have been many instances when one of our cast is pouring their heart out in a difficult scene and we see the tell-tale sign that a horse needs to make a "deposit" - the tail goes up in the air. Everyone on set knows what this means and they make sure they get out of the way - sometimes they find themselves in the danger zone near the back end of the horse and have to make a quick getaway. There is always a crew member close by with a shovel to clean up the set to we can carry on with the scene. The horses always seem to find the most quiet moments in a scene to pass gas as well which, needless to say, can throw the actors off just a bit! We usually cut the cameras and start again as that sort of thing is a tough act to follow. Sometimes we begin to think the horses do it on purpose! We do everything we can to make sure the horses are being filmed at their best but this is the one area we can't control so we just have to let nature run its course. Thank you for these incredibly detailed answers, Craig!